Featuring Phil Collins, Brad Cole, Chester Thompson, Daryl Stuermer, Bob Babbitt, Eddie Willis, Ray Manette, Leslie Smith, Guy Barker, Tom Rees Roberts, Phil Todd, Graeme Blevins, John Aram, Lynne Fidmont, Connie Jackson, Amy Keys, Lamont Van Hook, Terron Brooks, Bill Cantos and Patrick Woodroofe. Distributed by Eagle Rock Entertainment. 126 minutes. Not Rated. Phil Collins has always had a strong connection with the Motown songbook. In fact, his first top ten single as a solo artist in 1982 was a cover of Diana Ross and the Supremes� �You Can�t Hurry Love.� (For those of you protesting that song was not his first solo single top ten, his two earlier solo hits, �I Missed Again� and �In the Air Tonight� both peaked at 19 on the Billboard charts.) His later 1988 single �Two Hearts� was obviously a labor-of-love pastiche to the Motown sound. So we know he has the love and has the chops � but there was still a bit of a question as to whether there was really any reason for his 2010 Motown tribute album Going Back. First of all, his contemporary Michael McDonald has already done two Motown tribute albums in the past decade � McDonald even recorded them for the Motown label. Also, Collins� career is essentially over � even he acknowledges that fact in interviews. His last hit single was the Tarzan theme �You�ll Be in My Heart� in 1999, and even that was something of a comeback single. 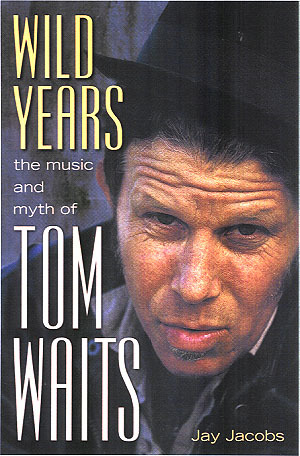 He hasn�t had regular hits since 1993 or so. This is partially because music has moved on, but also partially because Collins has been laying low � Going Back was his first solo album since the mostly ignored 2002 album Testify. Instead of making music, Collins has spent most of the last decade on extended holiday, with only a few side projects, a tribute album and an extended reunion tour with his old band Genesis to keep him in the pop culture mix. Sounds like covers album time to me. Therefore it was with great passion that he decided to � just for fun � record an old album of his favorite songs when he was growing up. This quickly became an almost completely Motown affair � with a few other non-Motown soul songs and only the title track, a semi-obscure Gerry Goffin/Carole King song, is not really soul music at all, best known for having been recorded by Dusty Springfield, The Move and Queen. (Motown diva Diana Ross did record the song at one point, but not until after she had left the label and signed with RCA.) Collins was able to work with three members of the legendary Motown studio band The Funk Brothers and that opportunity left Collins feeling invigorated. This concert, which celebrates the release of the covers album, immerses itself in the theme. There is not a single Genesis song in this show, nor is there a Collins solo track to be found (except, of course, for the aforementioned �You Can�t Hurry Love.�). It�s something of a risky strategy. Collins was one of the biggest stars of the 80s and early 90s and I�m sure at least some of the crowd was pumped up to hear his hits rather than a bunch of oldies covers. 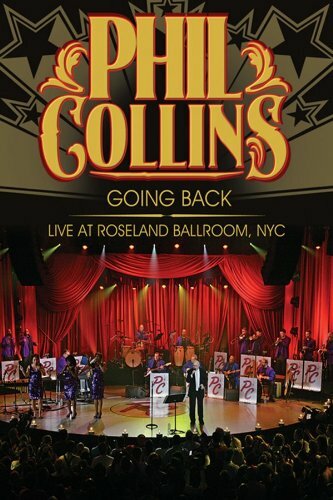 However, that wasn�t in the cards, Collins took the stage of the legendary Roseland Ballroom with a big band, soulful backing vocalists, the three surviving Funk Brothers and a set list of classic songs from Martha Reeves and the Vandellas, Stevie Wonder, The Temptations, The Miracles, Marvin Gaye and others. And, essentially, Collins turned himself into a one-man Motown Revue. Of course his soulfulness is always a bit suspect. Even more than in his prime, the now completely bald Collins looks like a snappily dressed certified public accountant and he dances like one, too. Both the strongest and simultaneously the weakest point of the Going Back CD is � not surprisingly � repeated in this live performance. That point is simply this: Collins is in such thrall of these songs that he is not willing to change a single note. To say these covers are faithful is an understatement; the album is almost fetishistic in its recreation of the songs. Only Collins� voice is different than the original versions � and even with that, Collins pretty much imitates every vocal intonation and hiccup from the original recordings. Therefore, you are left with some undeniably classic songs, well performed and sung, but which add nothing to the originals. Since those originals are pretty much iconic on their own � plus many of these songs have been covered a multitude of times since their original recordings � the question is, why listen to these versions of the songs when you could just as easily listen to the originals? However, sad to say, the time when the crowd seems most energized here is the second-to-last song, when Collins pulls out his old cover of �You Can�t Hurry Love� from his back pocket. This is somewhat understandable � after all this is a song the Collins can lay claim to almost as strongly as Diana Ross and the Supremes and thus reminds his fans of his own good old days as a musician, not other singers� histories. Still, Going Back is an hour and a half worth of classic songs which are all performed very well. That kind of show will never be a waste of time. Copyright �2010 PopEntertainment.com. All rights reserved. Posted: December 17, 2010.